Click on the links to read our newsletters and tax tips. Enter your details below to receive updates to help you minimise your tax. Tax and Uber or Airbnb income, Dividends & Franking Credits, can Salary Sacrifice work for you?, FBT & Cars. 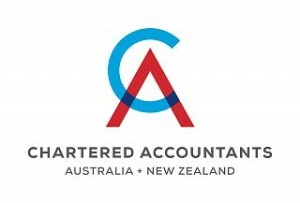 Small Business CGT Concession, Deceased Estates, Family Trusts, Assets Test for pensioners. Tax deductible donations. Evidence for Home Office tax deduction claims. Christmas Party tax implications. Managing tax debts. Home Office tax deductions. SMSF Compliance. Tax valuations. Travel & vehicle tax deductions. Which business structure is right for you ? $20,000 immediate write-off. Tax deductions for Legal expenses. Tax deductions for Interest expenses. Hobby Farming & Tax. Tax implications of renting out your home. 5 Smart things to with your tax refund. Investment Property tax deductions. Company Cars & Novated Leases. Work related tax deductions. Last Minute Tax Planning. Top 7 Tax Tips for Investors. Trusts explained. FBT Exemptions. Holiday Homes & Tax. Salary Packaging for employees. Beware personal use of business assets. Change of Small Business Structure. Work Related Travel Expenses. Succession Planing. Fringe Benefits Tax (FBT). Rental Property repairs deductions. Personal Services Income (PSI). Going from Sole Trader to Company. Car Expenses & Log Books. Tax deductions for website costs. New Homes & Capital Gains Tax building concession. Small Business Pool $20,000 Write-off. New Company Tax Rate & Franking implications. 5 Tips for a Tax Free Work Christmas Party. Company Director Responsibilities. Tax Deductions for the cost of training your employees. Tax and Uber & Air BNB. Misunderstood Rental Property deduction claims, GST and Financial Supplies. Tax Residency & Leaving Australia for Work. Tax Concessions for Small Business. Top 5 Small Business tax mistakes. Work Related expense claims. Selling your business & the GST “Going Concern” exemption.